Why rumors of a Gorsuch–Kagan Supreme Court clash are such a bombshell. Why rumors of a Gorsuch–Kagan clash at the Supreme Court are such a bombshell. 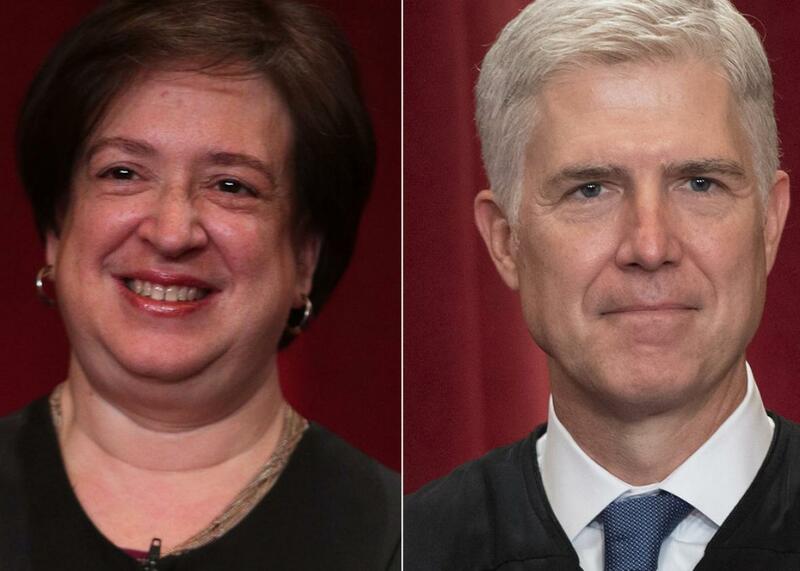 Supreme Court Associate Justices Elena Kagan and Neil Gorsuch. Following his nomination to the Supreme Court, Neil Gorsuch was packaged by his wealthy benefactors as the judicial equivalent of a carrot cake: mild and wholesome with the occasional hint of spice. Now that the justice has been safely installed on the court for life, he has revealed himself to be more akin to melted sorbet: sickly sweet and insubstantial with a tangy finish that induces slight nausea. Gorsuch’s abrupt pivot to arrogance has been on full display in his bumptious opinions and questions from the bench. But it also appears to be infecting his interactions with justices behind the scenes. Whispers emerging from the court indicate Gorsuch is more likely to alienate than influence even his conservative colleagues. Why is Totenberg’s reporting here so extraordinary? Because it’s astonishing that any reporter would hear details from conference, let alone score some genuinely juicy scuttlebutt. Conference is famously sacrosanct: It’s where the justices gather to cast their votes in the cases of the week, with each explaining his or her reasoning in order of seniority. Nobody else is allowed to attend. If rumors leak about a justice’s behavior in conference—and they basically never do—it is almost certainly a justice who leaked them. And when justices leak—which again, happens very rarely—they do so on purpose. The fact that we know about the “battle” in conference between Gorsuch and Kagan suggests that someone on the court wants us to know. The substance of the leak is also startling since conference is not intended to foster the kind of arguments that Totenberg described. Sixty years ago, some justices did engage in ferocious debate during conference. But Chief Justice John Roberts, like William Rehnquist before him, prides himself on presiding over civil orderly discussions. By all accounts, Kagan has adhered to this tradition throughout her seven years on the bench. Gorsuch, it seems, has disrupted it. Is he needling Kagan to the point that she explodes? Or is he expounding his opinion so obnoxiously or condescendingly that she feels compelled to speak out? It can be difficult for people outside the marble walls to know truly the relationships among the nine in their private chambers. But word seeps out, through clerks and other staff, through the justices’ friends, and through the justices themselves. Such communications make clear that Gorsuch has generated some ill will among justices. Signs have emerged from the bench, too, as Gorsuch has been on the receiving end of a few retorts. Kagan is cool-headed and pragmatic, but she does not suffer fools gladly. She does enjoy sparring with Justice Samuel Alito, but Alito is a brilliant intellect with a misanthropic wit. Gorsuch, by comparison, is a Fox News anchor’s idea of a first-rate justice: an insipid ideologue peddling warmed-over dogmas. Kagan just might find him exasperating enough to merit a rebuttal, drawing her into the ongoing “battle” that Totenberg described. We’ll get a better sense of this burgeoning feud once the justices begin issuing opinions later this term. (The ever-voluble Gorsuch will surely spill much ink detailing his penetrating insights and repudiating those who contradict him.) For now it is safe to say that, in Gorsuch, the justices did not get the deal they were promised. Justice Antonin Scalia could be a grouch, but he developed warm friendships with many of his colleagues, including those to his left. Gorsuch is a pale imitation of his predecessor, boasting a bratty attitude that has nettled justices across the ideological spectrum. He was supposed to build a new conservative consensus. Instead, it seems, his haughty demeanor has given his colleagues something they can agree on.